Social and Emotional Well Being is important in Children’s development. It is a soft skill that is hard to teach. I am glad to see more and more educators start looking into this area and over the time, I have found some good apps helping kids develop social and emotional skills. Since kids of different age have different developmental needs in social emotional skills, we listed the apps by age groups. For more information on each app, please click on the app title. 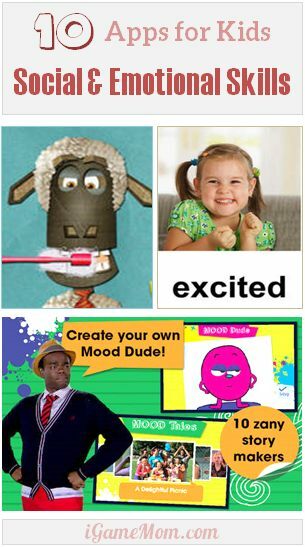 FeelElectric : designed by PBS helping kids learn emotion recognizing skills, gain vocabulary describing emotions and feeling, all through fun games. All characters in the app are from the popular PBS show The Electric Company. IF : A role play game app aiming at tween and teens, teaching the essential social emotional skills. Kids enter the virtual world of Greenberry, help rebuilt the community, interact with various characters, and learn social skills, such as sharing responsibilities, calming down after unhappy encounters. The whole curriculum is built in the game setting and fully individualized based on players choices of actions. Be confident in who you are : a comic book for tween and teens addressing common concerns for this age group: self-consciousness, stress, bullying, fitting in, body image, and sticky issues in friendships. All these issues are presented in story setting in an age appropriate manner. Real Friends vs. The Other Kind : another comic book app address friendship among middle school age kids. What does real friend mean? What to do when friends are doing something you don’t like? The app also has short quizzes asking kids what to do in different scenarios, all are real life scenarios. Highly recommend middle school and high school kids do the exercise. TeenSphere : an app for teens to access help and consulting to sensitive and challenging questions they face in everyday life, like “I feel sad”. The app provide professional yet personal help, help teenage kids understand why they feel that way, if necessary when and where to get help. Positive Penguin : offers solutions on how to control emotions and feel more positive. The app offers step-to-step guide for kids to express how they feel and how to turn negative emotions into positive feelings. ABA Flash Card Emotions : for younger kids, a critical step in emotional well being is the ability to recognize the emotion and articulate the feeling when experiencing it. This app showing pictures of different emotions and associate the word with the faces. Kids learn intuitively what different emotions are. iLearnWith Poko: Emotions : help young children learn about emotions by showing them short videos and kids identify the emotions the characters were experiencing. When kids have good mastering of different emotions, they are asked to provide solutions to make those characters feel good. Avokiddo Emotions : a fun app letting kids explore different emotions and facial expressions while interacting with 3 highly responsive animals. Each animal has a different personality. Kids learn to recognize feelings and emotions by interacting with the animals. A great tool for kids who cannot read or talk well. Daniel Tiger’s Grr-ific Feelings : A great app from PBS Kids, it offers various activities to help kids put names to their feelings and begins a discussion about strategies to handle them. Those helpful songs will stick with kids for a long time. Hope these apps are helpful! 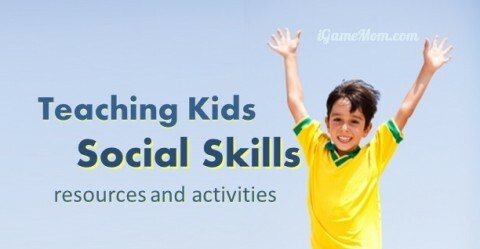 For more social skills resources, please visit Resources and Activity Ideas for Kids to Learn Social Skills. 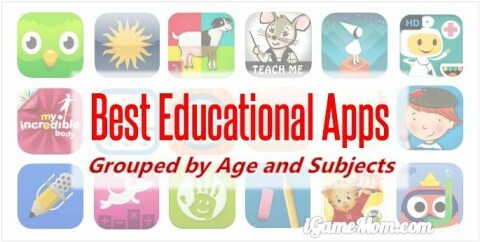 For all our best educational apps for kids lists, please visit Best Educational Apps for Kids page. Always something of tremendous value here at igamemom.com. Thank you, once again. You are welcome. So glad this is helpful.